Taxi advertisements work as effective mobile billboards, able to carry your message across Wales’ busy urban areas where they can catch the eye of potential consumers in a variety of settings. A country with a booming tourism industry – reach these visitors with money to spend! A whole host of eye-catching media formats to take your pick from! London Taxi Advertising in the United Kingdom’s leading black cab advertising specialist, with over a decade of industry experience. 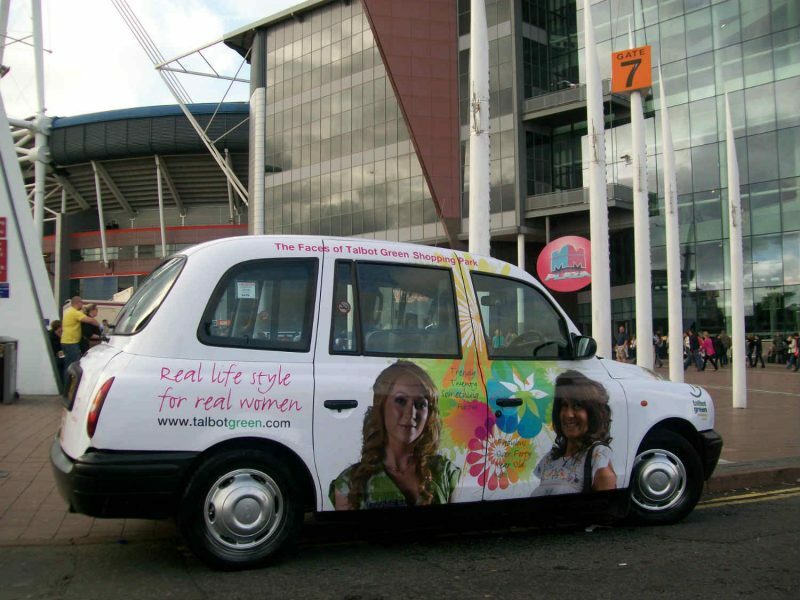 We’re the number one choice for your Wales taxi advertising campaign! Tourism in Wales is stronger than ever before, and taxi advertising in cities such as Cardiff and Swansea will see your brand make an impact in front of millions. It’s an industry which contributes significantly to the country’s economy, with visitors spending an incredible £3.5 billion each year. From Cardiff’s bustling nightlife and shopping scene to relaxing camping weekends in North Wales, there is plenty to attract tourists to the country. Your brand can reach motorists and pedestrians as they travel around this fantastic country, whether they’re crossing the famous Severn Bridge or heading to the iconic Millennium Stadium. If you’re looking to target shoppers, Cardiff and Swansea carry huge potential as the country’s two biggest shopping cities. They attract those with money to spend and could be your ideal target audience. If you’ve never considered taxi advertising before, don’t worry – our team are here to guide you through your campaign each step of the way. Get in touch with London Taxi Advertising today for more information!